The Reliant leasing team is dedicated to having the most exciting and complementary tenancy mix for its client’s properties. Reliant offers comprehensive real estate solutions for investors interested investment grade property and/or portfolio transactions. Reliant’s deep understanding of the real estate market and the trends and variables that impact retail sales enable our professionals to pinpoint the ideal location. Reliant Realty Group LLC is a full service commercial real estate company well-equipped to assist the real estate investor, owner or occupier of space through the real estate transaction process and beyond. Reliant’s substantial experience in the areas of commercial sales, leasing, property management, financial management, general construction and acquisitions allow it to provide stream-lined and cost-effective services to its clients. We invite you to explore our website to learn more about Reliant, or contact us at 631-509-0077 to speak with a member of our team. The Reliant leasing team is dedicated to having the most exciting and complementary tenancy mix for its client’s properties. The leasing process begins with an analysis by Reliant’s in-house marketing team which then works directly with its lease specialists to find creative methods to attract the best tenant possible for any given space. 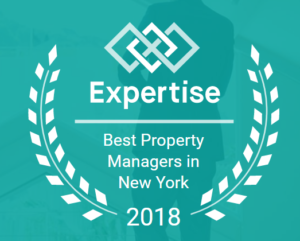 Whether negotiating a new or existing lease, renewal, relocation and/or expansion, our professionals act as a partner, delivering creative solutions that align each client’s real estate needs with its financial goals, operational objectives and business strategy. Reliant’s deep understanding of the real estate market and the trends and variables that impact retail sales enable our professionals to pinpoint the ideal location. Reliant offers comprehensive real estate solutions for investors interested investment grade property and/or portfolio transactions. Our investment sales team’s marketing acumen, industry experience and professional relationships enable it to provide the crucial thinking required to make valuation and pricing recommendations, including comparable market studies, cash flow pro-forma, operating statements and development scenarios. Reliant properties are built upon a strong financial foundation. The Reliant team believes that positive economic results, no matter how strong, must be paired with communication and financial transparency between the company and owners/investors. Reliant’s property management team employs cutting-edge technology to reduce management costs while providing near instantaneous access to key information required in the day-today management of properties. Even with this technology at its fingertips, the property management team recognizes the need for personal attention to each and every property. Reliant delivers high-quality workmanship with a focus upon meticulous detail. Whether a project consists of new construction, tenant improvements, renovation or capital improvements, Reliant’s in-house team will run any project professionally and with the utmost care.